What is a Mississippi Sublease Agreement? Mississippi Sublease Agreement: What Is It? In Mississippi, a sublease is an agreement between two tenants that is in accordance with Mississippi Code Title 89. 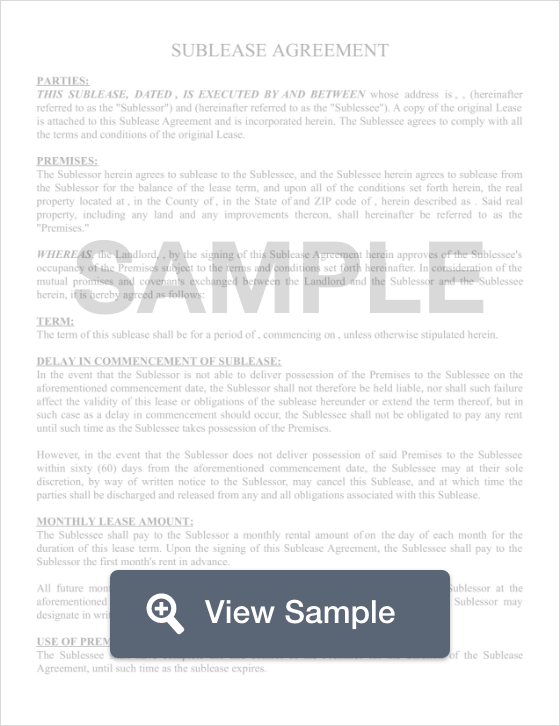 In this agreement, the two tenants are identified by their respective roles: the Sublessor and the Sublessee. The Sublessor is defined as the original tenant of a rental who has a valid lease with the landlord, while the Sublessee is the incoming tenant who will rent the property in place of the Sublessor. With the landlord’s written permission, the Sublessee will rent the space for a predetermined period of time, or until the original lease ends. While the Sublessee is renting the space, the Sublessor’s name will remain on the original lease agreement with the landlord. Should anything unfortunate happen during the sublease agreement, such as property damage or nonpayment of rent, the Sublessor will be held responsible. Mississippi Tenant/Landlord Laws are fairly vague and place the power of subleasing in the landlord’s hands. If the landlord prohibits subleasing in the original lease, then the tenant is forbidden from leasing. If the landlord allows subleasing, then the tenant should ensure that they receive written permission from the landlord.